We’re happy to inform you of the new minor release of Network Inventory Advisor, v 5.0.127. The release includes fixes for the issues kindly reported by our users. See the changelog below for details. 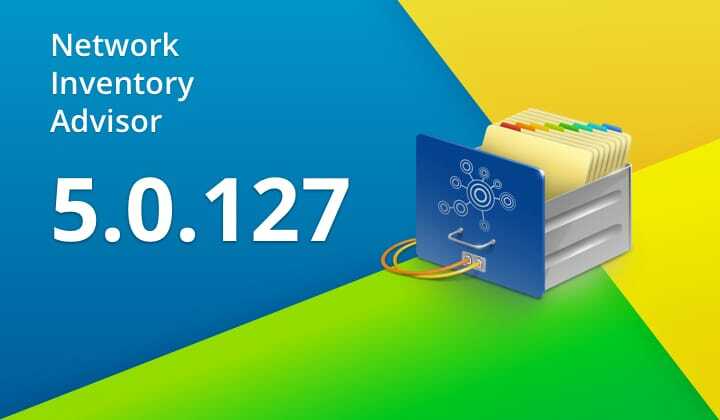 You can download the new version of Network Inventory Advisor here or just follow the auto-update hints in any of the previous Network Inventory Advisor releases.